Are you an experienced professional looking for your next career move? Winterhawk Consulting has a wide range of career options across the globe. As the Managing Partner, Charles is responsible for strategy, marketing, and content development. He has over 15 years of experience implementing and upgrading financial and compliance software products, deploying SAP Role Designs, leading SoD remediation projects, and designing comprehensive custom control monitoring solutions. Prior to founding the company, Charles was the Partner in charge of the GRC practice at Sunera LLC. While at Sunera, Charles focused on assisting organizations with deploying third party CCM applications and developing in house CCM solutions as well as creating Sunera’s GRC implementation methodologies, pre-configured SAP role design, and accelerators used to streamline GRC projects. Prior to Sunera, Charles delivered risk-based SAP services for the Southeast region of KPMG’s Information Risk Management practice. Charles is a Certified Public Accountant (CPA), an Approva Certified Professional (ACP) and holds a Masters in Accountancy from Rider University. Kim has over 18 years consulting experience in information technology, auditing, business process integration and enterprise controls solutions. 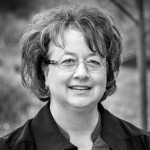 Building on a strong Accounting and Computer Integration foundation, Kim has successfully managed international end-to-end SAP Security and IT Controls implementations (design, build, test, and sustain). In addition, she has a comprehensive knowledge of segregation of duties and continuous controls monitoring solutions. Kim is responsible for service delivery, client satisfaction and internal resource development. Kim has broad industry experience across telecommunications, consumer manufacturing, and pharmaceuticals, which was gained within the “Big 4″ environment as well as the private sector. She obtained from Heidelberg College a BS in Accounting and BS in Computer Information Systems. 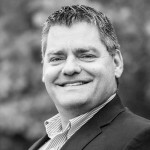 rwilson@winterhawkconsulting.com Rick, a founding Partner with over 12 years of experience implementing and auditing SAP, specializing in Security and the SAP GRC Product Suite. In addition, he has designed and developed custom databases and accelerators used to enhance our services . Previously, Rick was a Senior Manager at Sunera LLC where he was responsible for service delivery. He developed multiple tools that enabled Sunera to complete projects on time and within budget. Rick has also worked for software vendors and “Big 4″ accounting a firms. Rick holds a Bachelor of Science degree in Accounting from Brigham Young University. 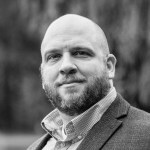 He has passed both the Certified Information Systems Auditor (CISA) and Certified Information Systems Security Professional (CISSP) exams, and is fluent in German. We believe in control, while avoiding unnecessary or convoluted procedures that don’t add values.